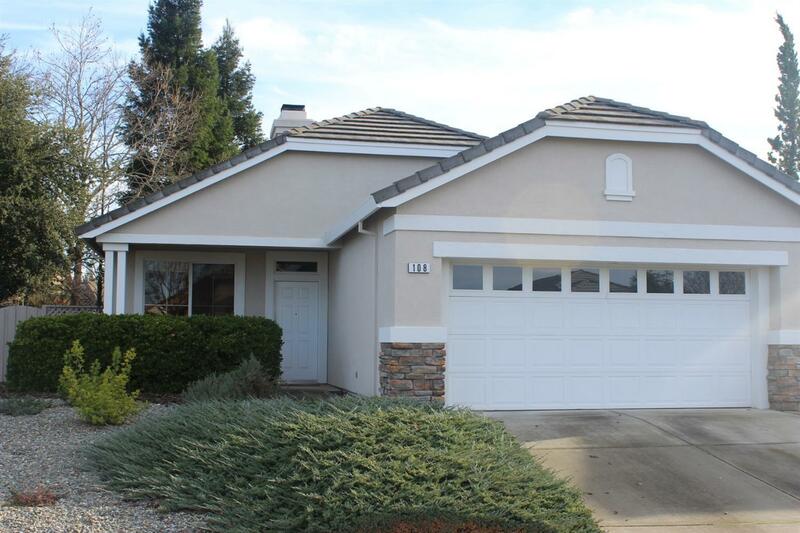 Charming Sun City Roseville home on quiet cul-de-sac. 1 year old taupe carpet, enclosed backyard patio, custom built-ins & LR mantle, gas stove & oven, two skylights, fruit trees, master w/walk-in closet, tile entry & kitchen floor, garage cabinets, thermal shield in garage ceiling & sun screens stored in garage. A beautiful cheery, light, and bright home.